This was probably about two hours ago, so the white smoke hadn’t risen yet, but the media was poised and ready. The crowds going in and out of the church were pretty light, however. 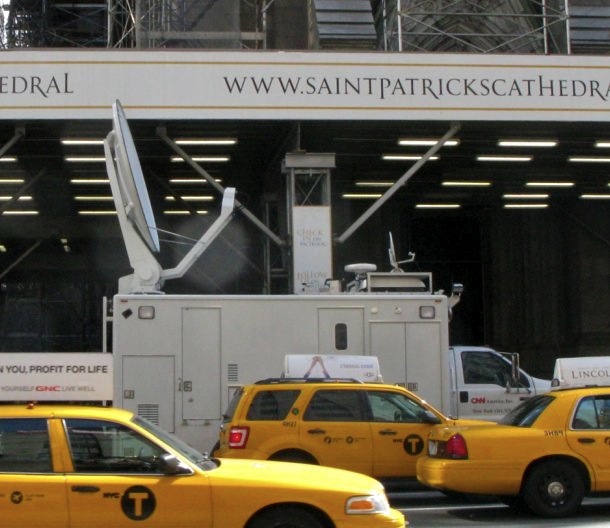 The church is surrounded by these trucks with satellite dishes. Apparently this place serves burgers in Heaven. 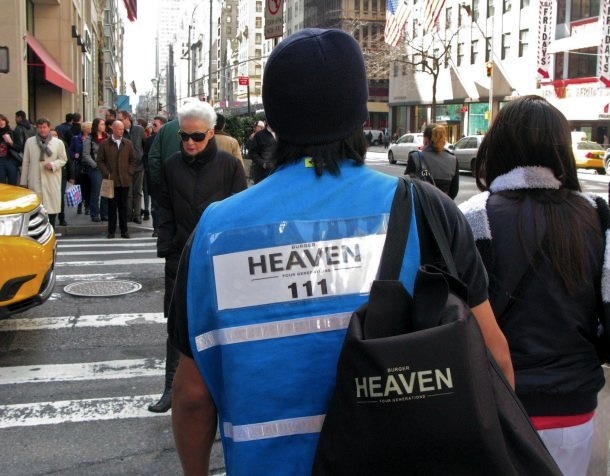 Pretty cool job, making deliveries to Heaven. Damnit. I’m such an idiot. I should have followed him to learn where it is.